Help CentreUsing SuperControl Tactical pricingWhat's the difference between a special offer and a discount? A discount allows you to set up a date period where a discount will be applicable. For example, you can have a seasonal discount enabled in low season for weekly stays only. To set-up a discount click here to view instructions. A special offer is a way of discounting a holiday stay. 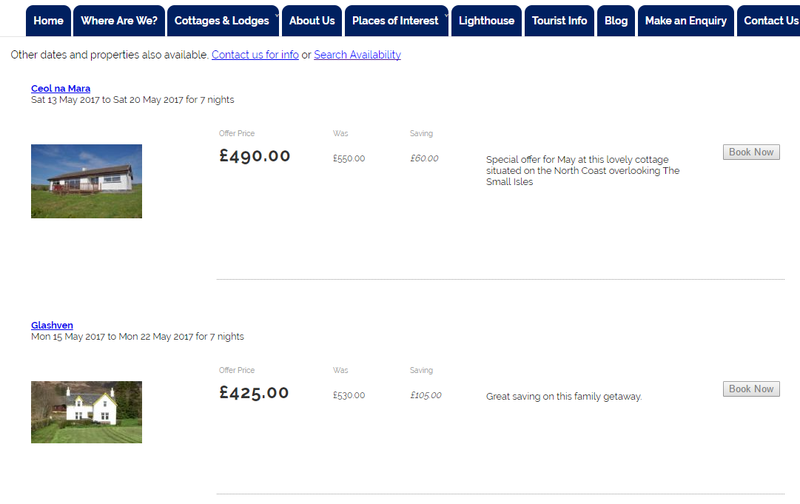 For example, if you have a holiday from 12th August > 16th August available you can choose to lower the price for this stay. A special offer can also be displayed as a stand alone page on your website using our integration links. It's a great way to display your offers in one place. You can obtain your special offer link via Admin > Integration HTML. To set-up a special offer click here to view instructions. Please note that discounts do not display in a special offers page on your website. Prev: How do I set up a special offer? Next: How do I add a voucher code?